50 Words to Describe Rain in Japanese « Adafruit Industries – Makers, hackers, artists, designers and engineers! Perhaps no other language can be compared to Japanese when it comes to a sensitivity to define certain aspects of reality. In collective imagination, Nature is the original source of poetry. There it is at its purest state and, in a way, at a stage that comes before and after language, simultaneously. ––As if the phenomena that take place there were poetic in and of themselves and did not need a resource to confine their beauty because this offers itself like that: gratuitously, in the moment’s circumstance. Is it possible to know whether this is how it happens? To paraphrase a famous Buddhist koan, are the colors that arise with the first light of dawn beautiful if nobody is watching? Wittgenstein wrote: “What we cannot speak about we must pass over in silence.” He, like the Romantics, realized that there are parts of reality where language is insufficient. And, regardless, our inclination to understand reality takes us to border on the aforementioned lands, to try and name them until we run out of expressivity. As Borges’ emblematic character, Funes, any one of us can think that the cloud that passed above just a moment ago can have the same name as that funny shaped cloud we saw yesterday. And this is justified: doesn’t the contingency of the world mean that everything is always different, that everything, in a way, is always new? Japan Talk, a website devoted to those tiny details that can make a foreigner’s experience of the country that much better, features an article by John Spacey, where he shares 50 Japanese nouns that are used for rain ––50 different ways of describing situations that are also specific: rain falls while there is also fog; the extraordinary fact that rain can fall from cloudless skies; the first rain of summer or the rain that sneaks up on us while we’re driving. Depending on how we see it, the number may seem either excessive or scarce. 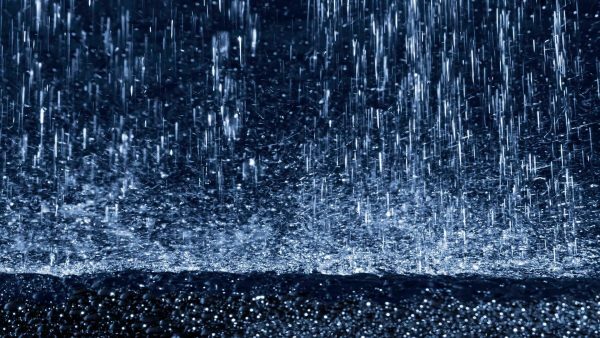 For some, the rain that falls in the evening is the same rain that has fallen since the beginning of time —and hence it can only be described by one word. Or, rain is always different, only belonging to the instant in which it irrupts in the world and therefore deserves a unique word for each occasion in which it happens. In any case, we can attribute Japanese language with that special sensitivity for nuances and details, which is undoubtedly an essential condition required to read Nature’s poetry.